Even though roulette is regarded as a game of chance, there are many betting systems which can help you minimize your losses and with a bit of luck, even turn a profit. In general, every betting system offers you a plan which can help you make better choices for your wagers. This will contribute to your gaming experience significantly and it will surely increase your level of excitement. Several types of betting systems can be distinguished which is the reason why all types of players can take advantage of them, even inexperienced ones. One of the oldest betting systems ever created is the Martingale Betting System. It is extremely well-known, especially among roulette players as it has proven to be very useful when applied in this game. 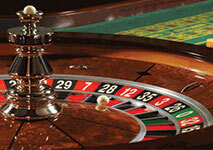 What makes it suitable for roulette is the fact that it was initially designed to be used on even money bets. This betting system can be also applied in some other prominent casino games such as craps, blackjack and baccarat. Another thing which has undoubtedly contributed to its huge popularity is the fact that its basics are very straightforward. It doesn’t take much effort and time to grasp its main principle and understand the idea behind its plan. The first thing you need to know about the Martingale betting system is that it is a negative progression system. This means that every time you lose you are required to double your wager until a win finally occurs. In such cases, you should start from the beginning and place the amount of your initial bet. It is recommended before you join a game to decide the exact amount of one betting unit. This way, you will have time to think this matter through without rushing and thus, your chances of setting an unreasonable amount spontaneously are much lower. Bear in mind that its size should correspond only to the money you intend to spend that day. You should adjust this amount every time according to your bankroll in order to manage to place reasonable bets and fully enjoy the game. The main concept on which the entire betting system is based is that it is highly unlikely to experience a number of losing bets in a row while playing roulette. While it is true that if you are on a losing streak, it will certainly end up at some point, you should take into account the fact that this might not happen as soon as you hoped for. The Martingale betting system has been initially created for roulette and thus, it is no wonder that it is typically applied in this game. If you decide to give this betting system a try, the first thing you need to do is to set an amount for one betting unit. Also, it is best to determine how many sessions you would like to have in advance so that you can separate your bankroll accordingly. By doing so, you don’t risk running out of money before a winning streak occurs. If you are new to the betting systems, it is best to set a low amount for your initial betting unit in order to get used to the plan without damaging your bankroll. Let’s assume that one betting unit equals $5 and that you bet on odd numbers only. When the game begins, you should place your first $5 bet on the odd numbers of your choice. The amount of your next wager should be determined by the outcome of the previous round. In case that an even number wins, you are required to make your bet twice as much, meaning that your next wager will be increased to $10. If the ball lands again on an even number, you are supposed to double your stake in which case your next wager will be $20. Let’s assume that you have already lost three times in a row and that you have already increased the amount of your wager to $40. However, during the fourth round you finally had a stroke of luck as an odd number won. As a result, you will manage to make up for your previous losses and make a profit which will be equal to the amount of your initial betting unit – $5 in this case. The main idea behind this system is that if you double your bet every time you lose, whenever you finally manage to win, the amount will compensate for all of your previous losses and it will fetch you a profit of exactly one betting unit. This principle seems perfectly logical and at first glance, even flawless. However, in practice this is not always the case. In order to determine whether this system is beneficial or not, let’s consider some of its most important aspects. If you decide to try out this system and see for yourself whether it works or not, it is best to take into account several important factors. First of all, this system has been especially designed to help you make a profit, even if your losses outnumber your wins. It aims at giving you the chance to fetch a bigger profit. However, bear in mind that in order to make it work, you need a solid bankroll. The reason why is that if you happen to experience several losses in a row and you are on a tight budget, you will quickly run out of money. In this case, you will neither enjoy the game nor make a profit. Also, it is essential to know when to stop playing and withdraw from the game. The Martingale betting system has proven to be very efficient, however only over a short period of time. If you plan to spend an entire day at a casino, this betting system might not be your best option. 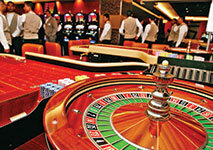 It can quickly cause you to lose all of your funds and leave the casino much earlier than you wished. You should keep in mind is that all betting systems, including this one, don’t influence the house edge in any way. When applied in roulette, the Martingale betting system can be very beneficial, however only on two conditions – that you have a solid bankroll and that you use its plan for short sessions. It can be a great way to increase your level of entertainment and make a profit while playing your favorite casino game. Just make sure that the amount of your initial betting unit corresponds to your bankroll and that you don’t get carried away and place large wagers. Also, keep in mind that there is never a guarantee that if an odd number has won five times in a row, the outcome of the next round will be the same.